Robert is a self-taught International sugarcraft teacher, based in South west London. He has cultivated his knowledge by focusing his attention on the detailed anatomy of flowers and foliage. His unwavering passion and meticulous nature has flourished through practice and repetition. In order to share his passion and desire to create sugar flowers and to teach others the skills, Robert established the Sugar Flower Studio in London, UK in 2006. He now regularly travels the world teaching groups or private masterclasses and demonstrating the art of sugar flowers. 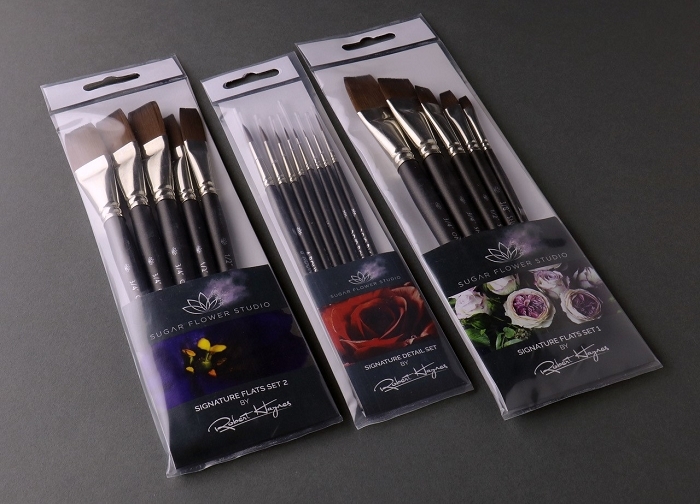 Robert has chosen this stunning collection of specific brushes to help achieve the exacting results needed to build up tone, depth, texture and pin point accuracy in recreating the beauty of mother nature herself into an edible art form. "I first met Robert a few years ago and couldn't help but be captivated by him. 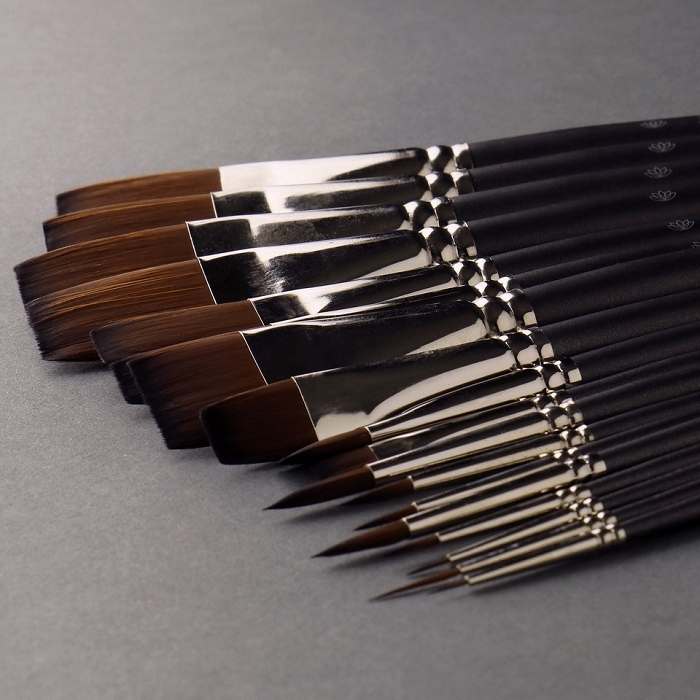 He's truly mesmerising, his passion for his art and attention to detail is unquestionable. 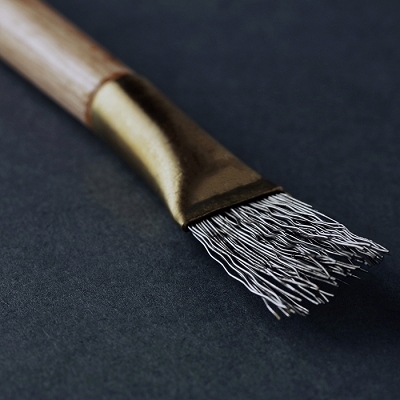 I was delighted when Robert asked me to design a specific range of bespoke brushes which would enable him to recreate flowers and foliage, into an edible art form made from sugar. 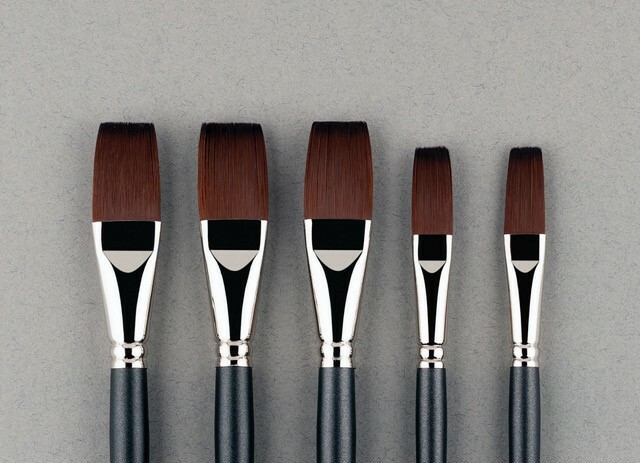 The brushes would need to allow him to building up tone, depth, texture and give pin point accuracy. 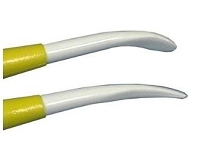 The design, balance and perfected taper of each brush was key, even down to the silk like feel of the ‘Taklon’ we used which was another essential dynamic to have very soft fibered bristles, needed for the application of edible coloured dusts onto extremely delicate sugar work. 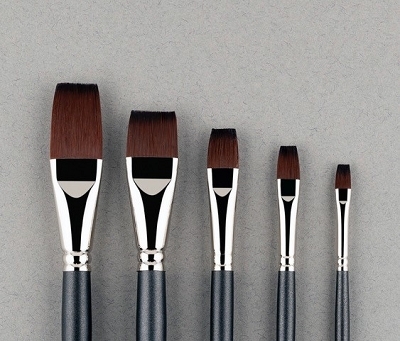 Fashioned on a beautiful charcoal grey handle with coordinating ferrule, I think we achieved Robert's wish .... to have a set of 'go to' brushes which are handmade to perfection, will enable each artist from any background to recreate stunning results". Rosemary. 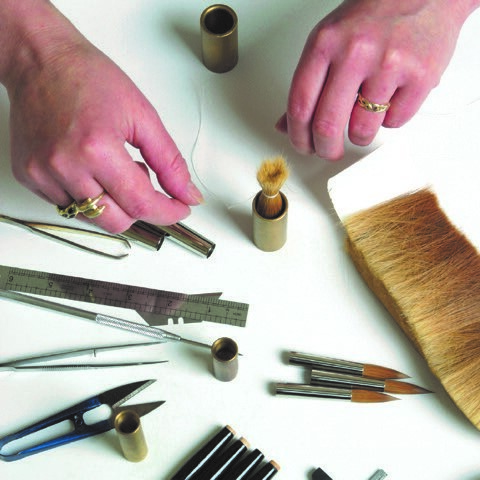 Anyone who knows me, will convey my quest for perfection in all that I do…Rosemary has surpassed all my expectations in designing these incredibly professional and beautifully bespoke brush sets… They are an utter joy to use, and provide me with such confidence in recreating the beauty of Mother Nature herself, into an edible art form. “Sugar reflections of nature’s perfection” Robert Haynes. 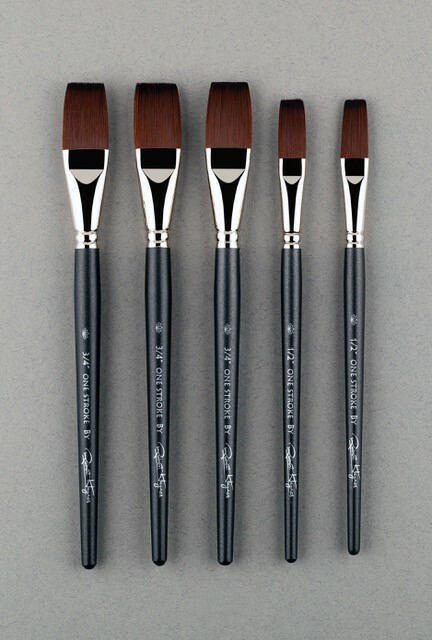 Please see link for Robert's website Please see links for Robert's Signature Detail Set and Signature Flats Set 1 This set contains 5 brushes on short handles SERIES	QUANTITY	SIZE One Stroke	2	1/2" One Stroke	3	3/4"